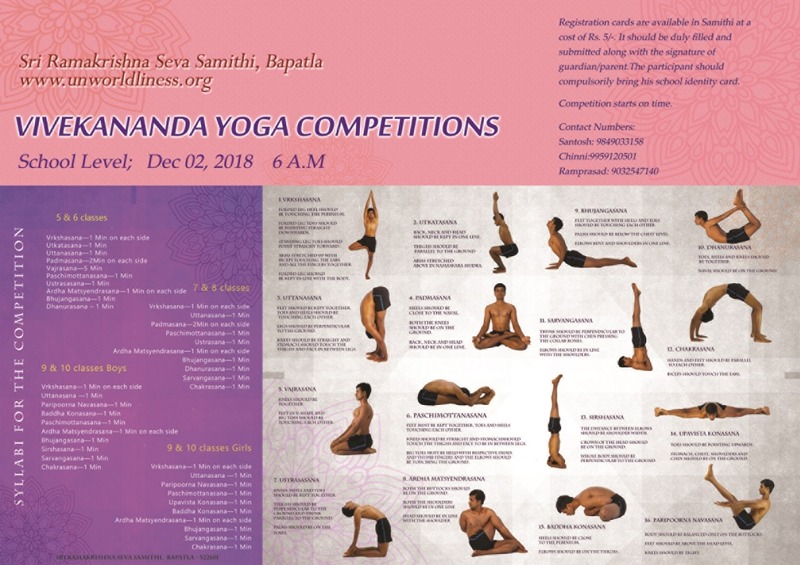 In the 2018 edition of Vivekananda Yoga Competitions, held on Dec 02, 2018, 120 students participated. On 2017 Dec 24, samithi conducted its first yoga competitions at school level. More than 100 school students participated and prizes were given away on the same day. Judges from various places arrived and Sri Khadav Vali, famous yoga guru of Bapatla was present. Prize distribution. Sri Khadar Vali giving away prizes.